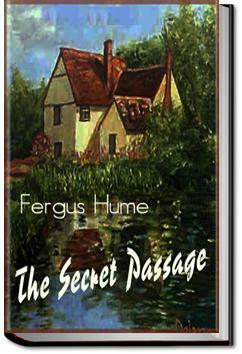 . . .Selina instead of taking her proper place in society as Isabella did, shut herself up as a recluse in Rose Cottage. The Saul family appear to have been a bad lot. I should like to look up that coining case. I wonder if I dare tell Jennings." He was doubtful of the wisdom of doing this. If he told what he knew, and set Jennings on the track, it might be that a scandal would arise implicating Mrs. Octagon. Not that Cuthbert cared much for her, but she was Juliet's mother, and he wanted to avert any trouble likely to cause the girl pain. A dozen times on the journey Cuthbert altered his mind. First he thought he would tell Jennings, then he decided to hold his peace. This indecision was not like him, but the case was so perplexing, and such serious issues were involved, that the young man felt thoroughly worried. A good mystery story, there are loads of characters and one may get a bit confused at times, but it still is quite interesting. I wish all murder mysteries were written like this. I thoroughly enjoyed the twists and turns and did not mind that it was published so long ago. I was pulled in at the start with appealing young woman who shows up needing a job as maid to a rather haughty old woman but the book can't stand the test of time in some measures. Its value for me is the portrayal of another era. I will probably try another book before I give up on Hume. A good early 20th century whodunit.